Johnny Farrelly started his career as an lad and amateur jockey in Ireland with Gerry Stack and then spent three years at the yard of Michael Hourigan. He went on to work as Tony Martin’s amateur jockey during which time he became champion novice point to point jockey in Ireland. This drew the attention of Jonjo O’Neill who invited him over to England to ride as a conditional jockey. After 8 months with Jonjo, and a few winning rides, an opportunity arose to join the yard of David Pipe who had just trained his first Cheltenham festival winner in 2007 when Gaspara won the Fred Winter. Johnny had a lot of success as a conditional jockey at the Pipe’s and probably picked up some tips on training from David and his father, former champion trainer Martin Pipe, who was still heavily involved at the yard. Just under 5 years later and with almost 100 winners under his belt, injury forced Johnny to consider a change in career and he moved into a yard in Bridgwater, Somerset where he set up to provide “pre training” for horses preparing to go to their main trainer. From the yard he was heavily involved in the training of Battle Group who won twice at Aintree for Kevin Bishop and this success, spurred Johnny to take out his own training licence. He has improved his number of winners every season and trained 28 winners in 2016/17. 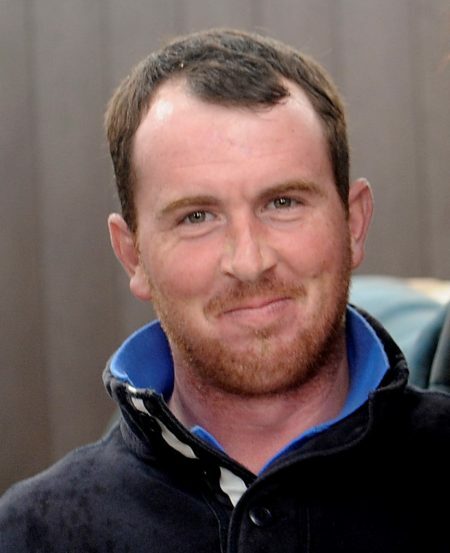 Johnny moved to his current yard at Twinhoe near Bath in mid 2017 and now has 43 boxes at the new yard where he trains for several large owners such as Roger Brookhouse, Paul & Claire Rooney, Wayne Clifford and of course BG Racing Syndicates!